MeetAMechanic.com Brings Denver Mechanic Work to Your Garage! Let’s face it, Denver auto mechanics need every advantage to market their services. Whether you’re looking for a job at a Denver mechanic shop near you or additional auto repair jobs. 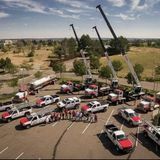 MeetAMechanic.com’s Denver job directory is the leverage you need to stay competitive. How? MeetAMechanic.com’s easy to use, nationwide network of people looking for repairs and mechanics looking for jobs makes finding car repair jobs in Denver, Colorado easier than ever. Our database lists open mechanic jobs in Denver, Colorado in addition our platform has a community of people actively looking for a trusted mechanic to handle their car and auto repair jobs. Whether it’s complex engine work, transmission problems, changing brake pads or something routine as an oil change or tire repair, using MeetAMechanic.com, you can screen jobs in your Denver neighborhood and apply for the work you want! Add your profile to our Denver, Colorado mechanic job database- this will allow you to be matched with future jobs. When clients or shops look for auto mechanics in Denver, Colorado, they will check our database and see your profile, which includes your expertise and experience. A free profile advertising your services online never hurts! Simply search the open Denver auto repair jobs below and contact the ones you that interest you. It’s that easy! Our Denver Mechanic jobs service is powered by Careguide.com, which has been featured on Betakit, Techvibes, Mashable and The Huffington Post. If you have any questions about the process or need help connecting with a client or shop listed on our site our customer support team is always ready and available to help. What are you waiting for? Set yourself apart from the competition! Browse Jobs and Fill out a profile now! Find your next mechanic jobs in Denver Today!